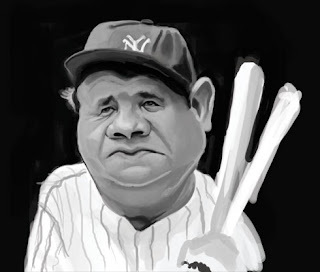 Here is little painting I started of Babe Ruth. Still trying to work out some issues with his face but I like the direction it is going. Nice man, looks great so far.